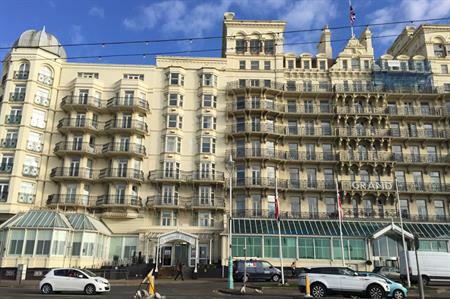 More than 85 event professionals will gather today for C&IT's Corporate Forum, which is being held at The Grand Brighton. TV presenter Joanna Sinnott will chair the two-day forum, speaking alongside event professionals from L'Oréal, Clarks and Google. The C&IT Corporate Forum speaker list includes Amy Brown, head of events EMEA at Google; Alison Williams, head of events at L'Oréal; Lucy Hagen, group conference & events manager at C&J Clarks International; Emma Stoker, assistant vice president at PCB Events, Barclays; Sarah Lawrence, business events expert at B&Q; Kristen Waddell, global events director at AstraZeneca; and Kate Conway, events and dealer marketing manager at Hyundai Motor Company. Following a series of panel sessions and one-to-one meetings, delegates will gather this evening for a drinks reception followed by a murder mystery dinner. Tomorrow there will be more educational sessions and one-to-one meetings, focussing on everything from inspiring women in the workplace to new technology.